NOLS offers weekly storytimes September through May. 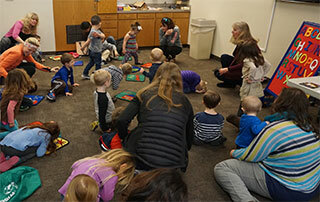 Other special storytimes are offered throughout the year at each branch. Library storytimes create critically important early literacy opportunities for young children and their parents or caregivers.